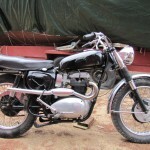 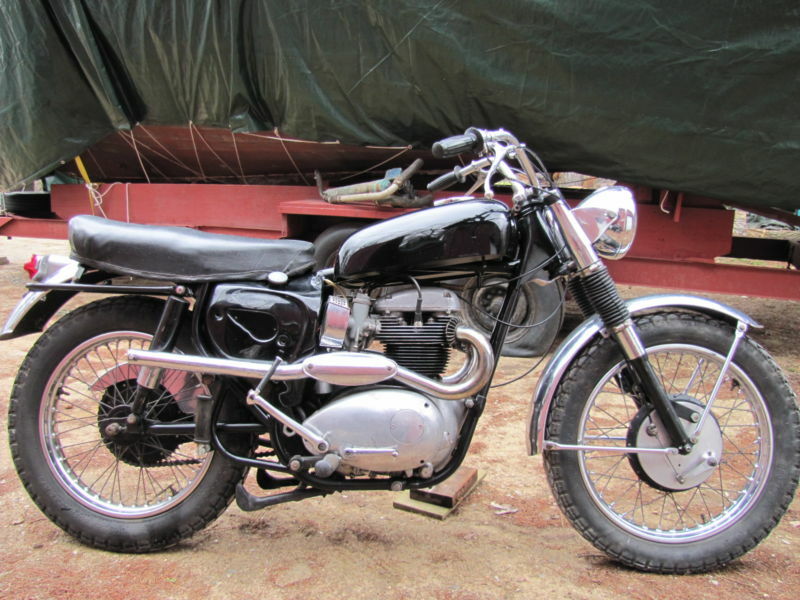 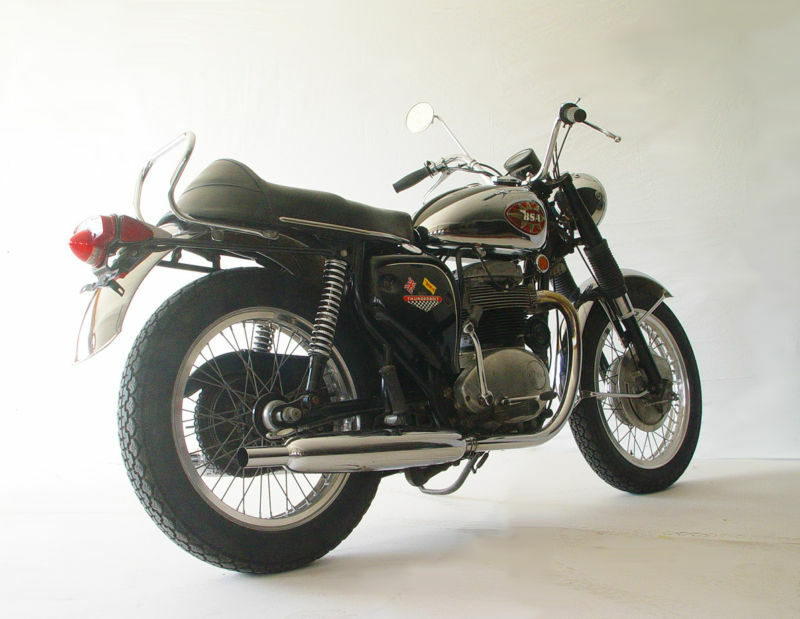 Birmingham Small Arms (a great name for a motorcycle company) has a 650cc parallel twin that was offered from 1962-1972 designated the A65. 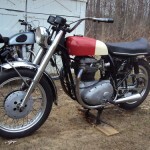 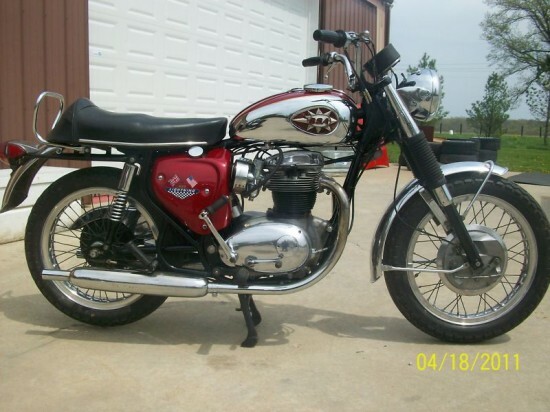 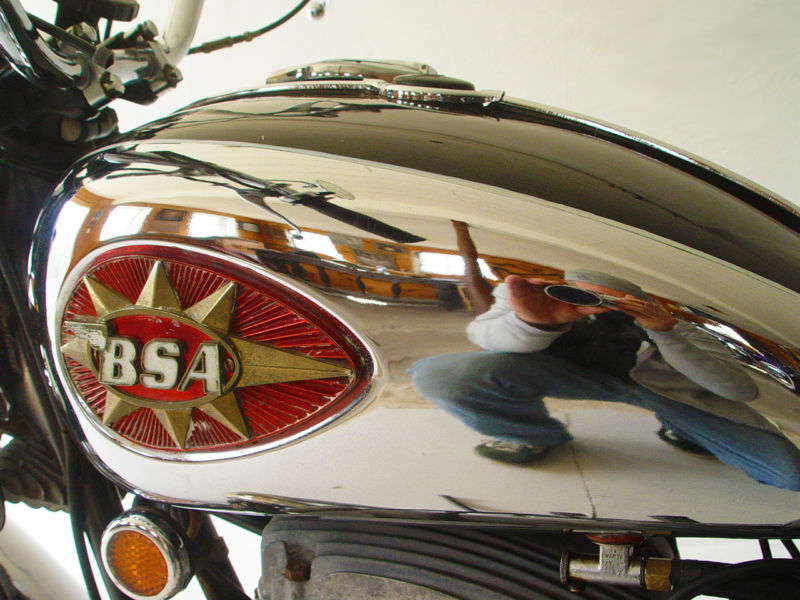 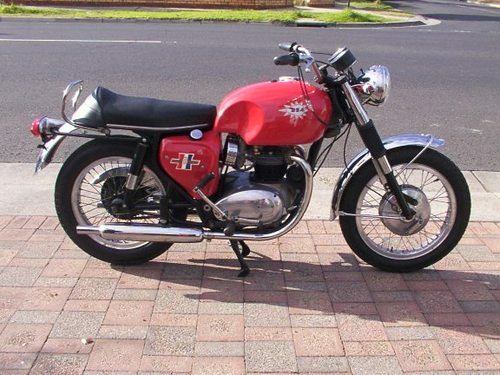 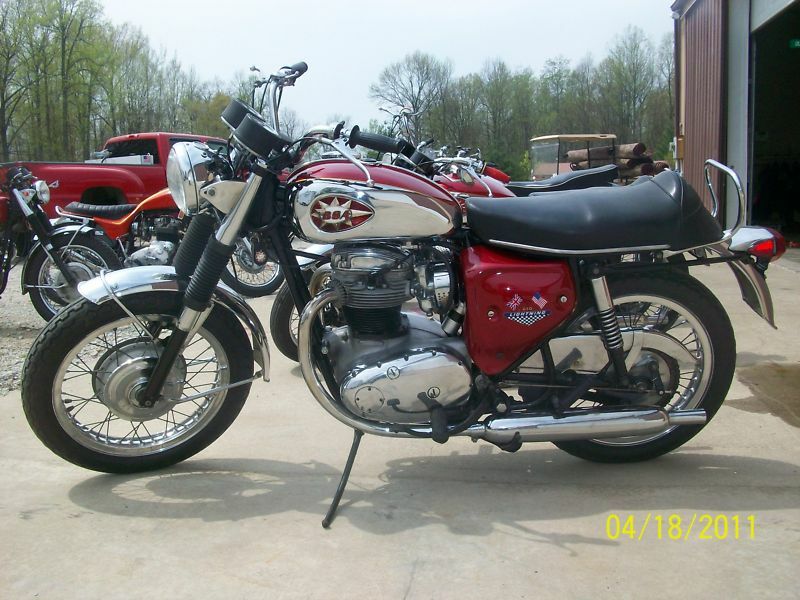 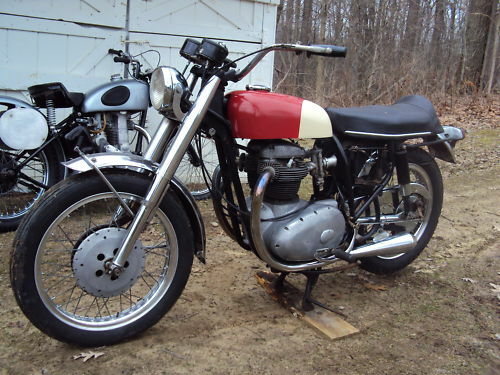 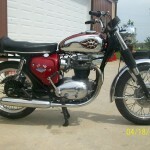 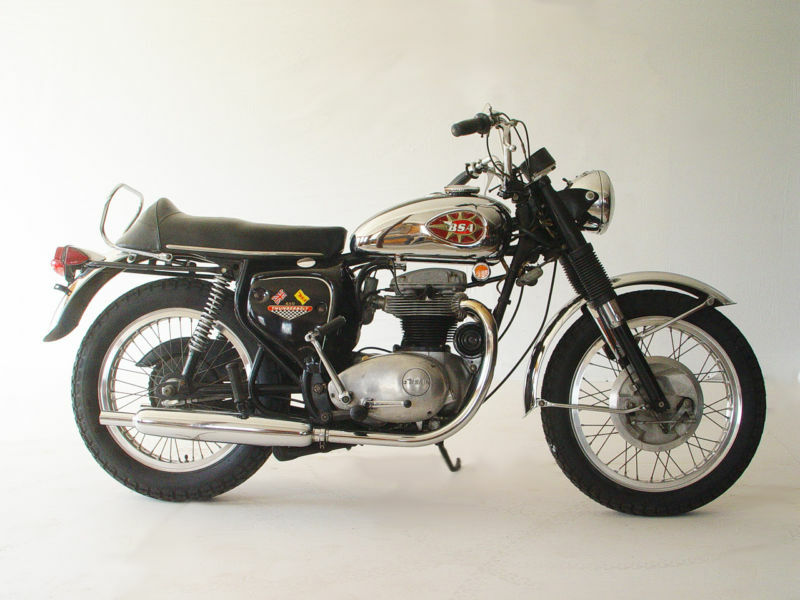 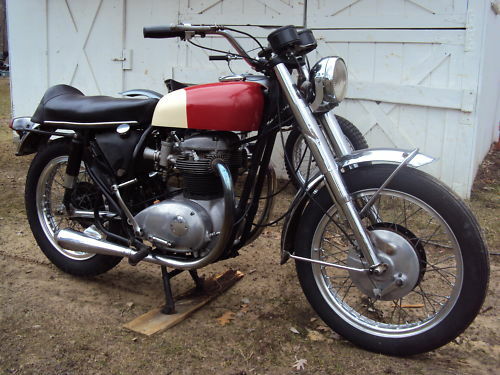 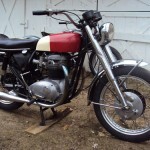 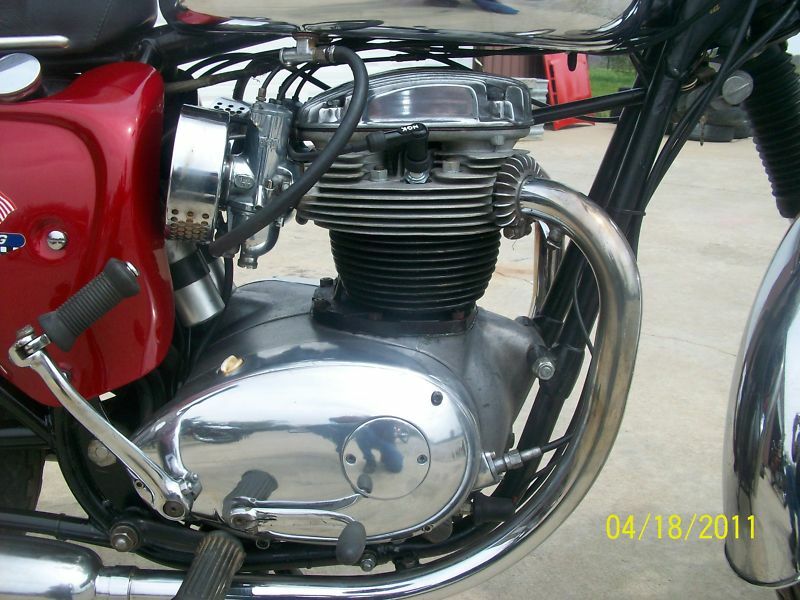 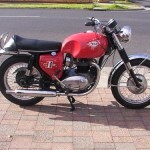 I once looked to buy a BSA and knew the twin cylinder was a relative of the famous Gold Star. 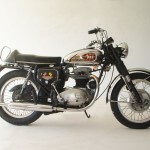 The only problem is that they gave it many different names, all representing different levels of tune and performance. 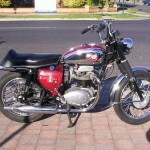 Some names even changed from bikes offered in Britain and those same bikes offered in the US. 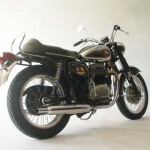 And ebay offers one stop shopping for most models offered over those 10 years. 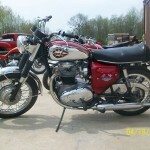 was one of the A65 twins offered. 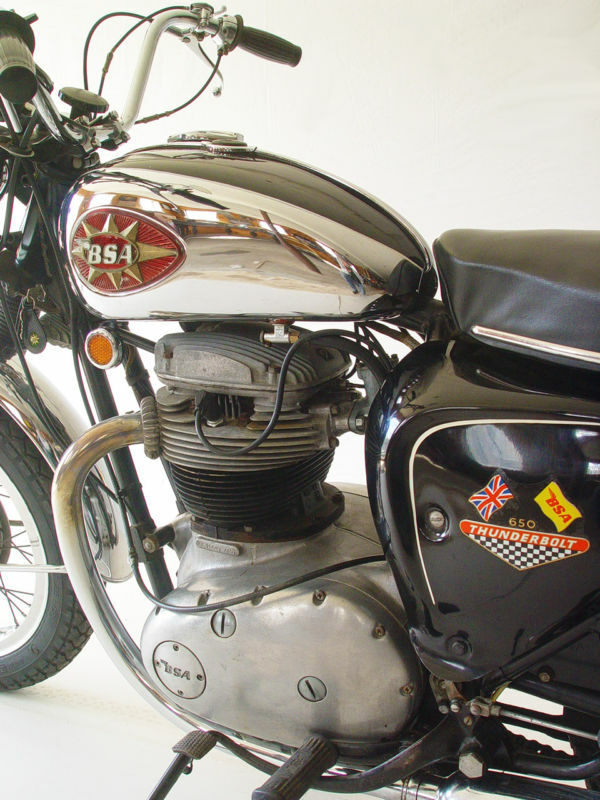 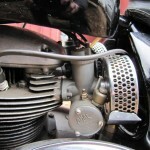 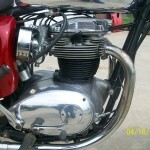 The 654cc engine with its single carburetor gave the Thunderbolt 46bhp and the and a top speed over 100mph. 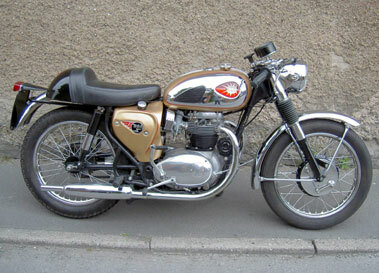 and Lightning Clubman (designating factory Café racer) upped the ante to 48bhp and 51bhp respectively. 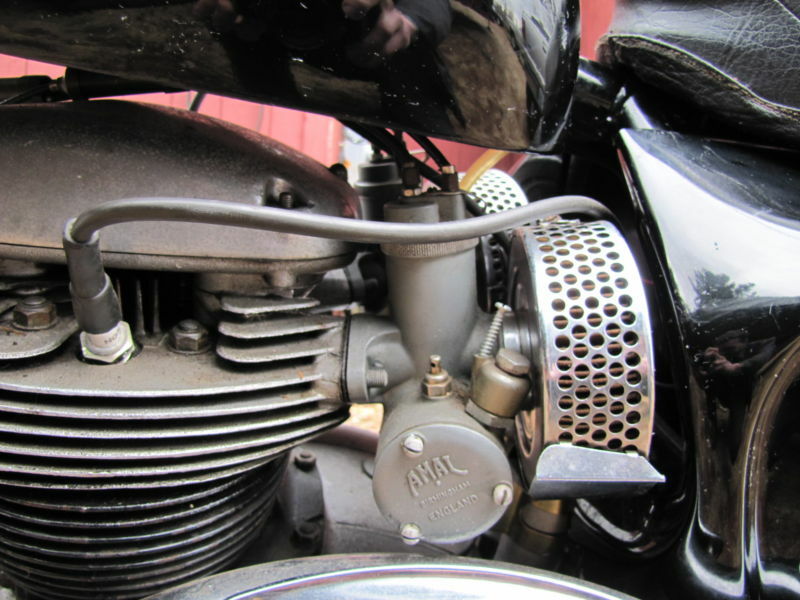 These two bikes were the first of the line to give each cylinder its own Amal carburetors’. 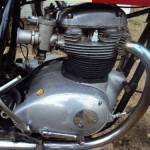 A close ratio gearbox was an option to give it lively acceleration. 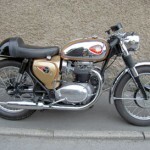 first offered in 1963. 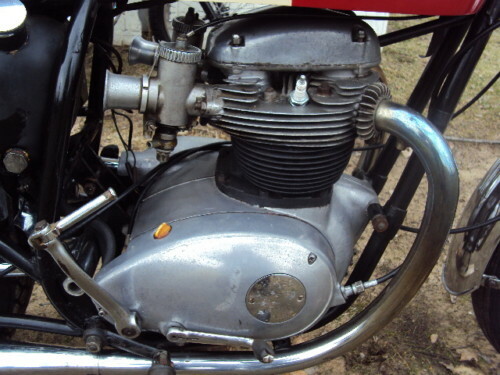 With its twin Amal GP carburetors with Velocity stacks, and 54bhp at 7250rpm pushed this bike to 120mph. 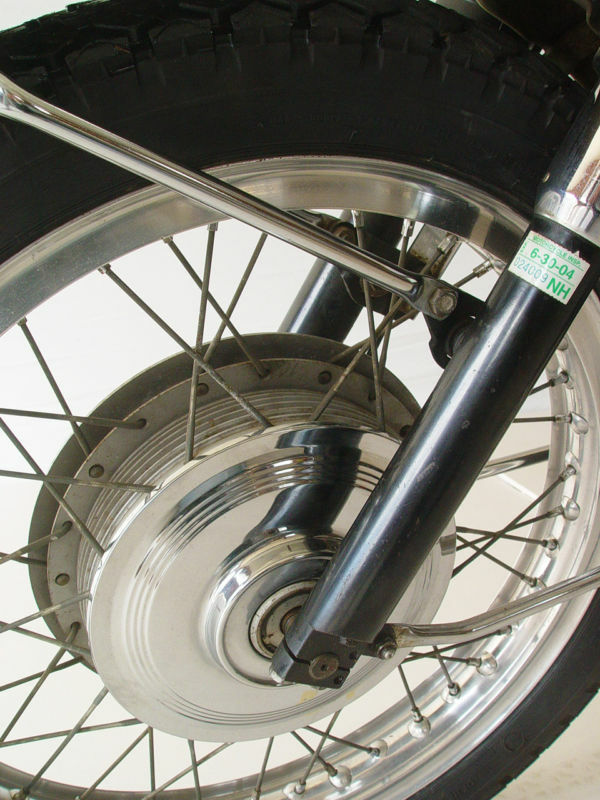 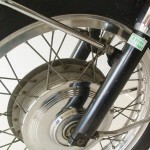 At the top of the line improvements with the addition of a twin leading shoe brake and new frame design over the lesser bikes were included. 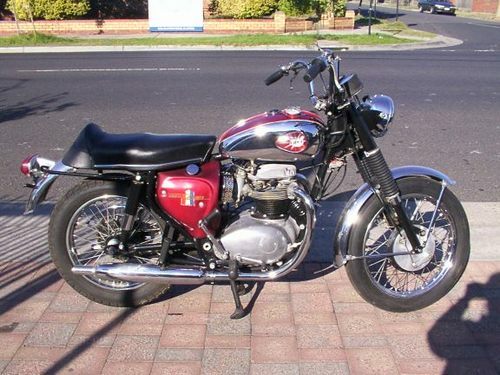 It did trade rideability for the improvement in performance, the curse of owning any vintage racer. 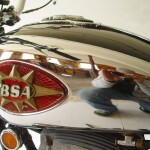 was for them. 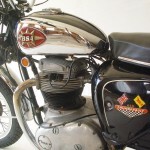 The addition of high, straight though exhaust pipes, and lack of lights allowed people to take there bikes into the woods, along the fire lanes, and into the desert.